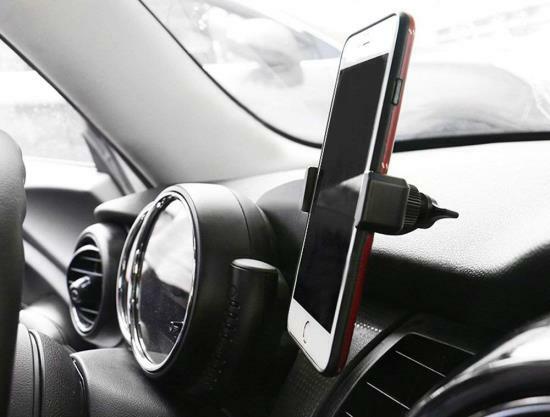 The bolt-on mobile device mount fully integrates into your MINI Cooper interior, featuring a monochromatic design on the phone vice grip. 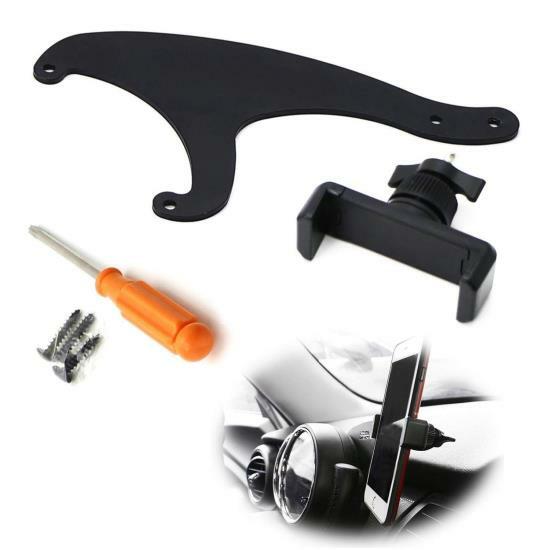 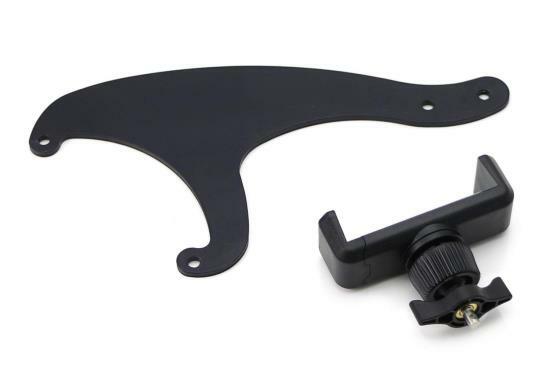 The tachometer extension bracket is made of metal and easily affixes itself on the back of your speed gauge. 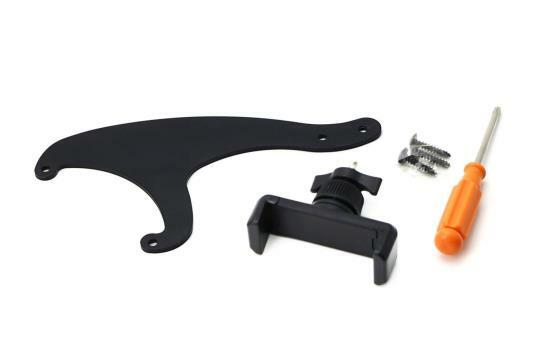 Screws and a screwdriver is included in your cell phone mount package for convenience. 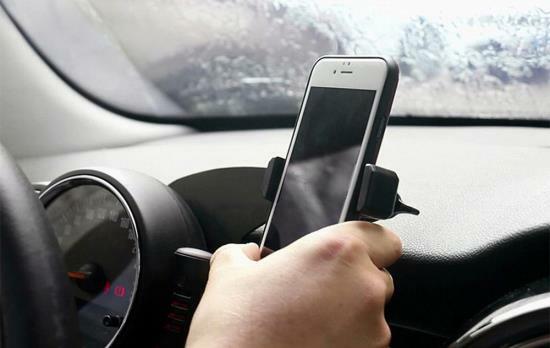 Your UK flag vice grip is flexible so it can be adjusted to any angle or orientation you like, and extends up to 85mm or 3.35 inches to fit many mobile devices. 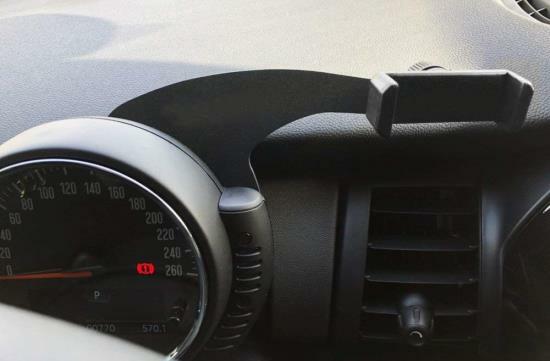 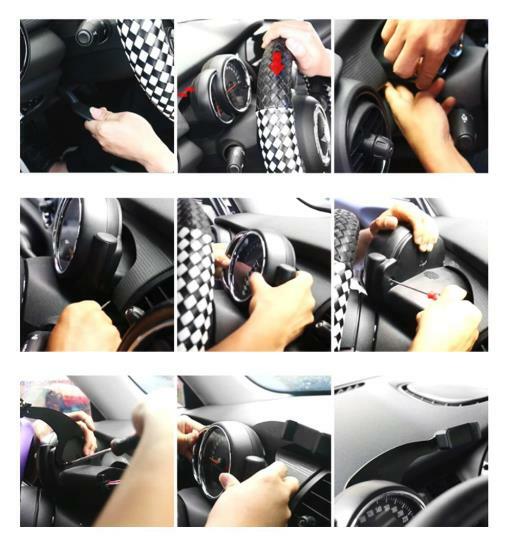 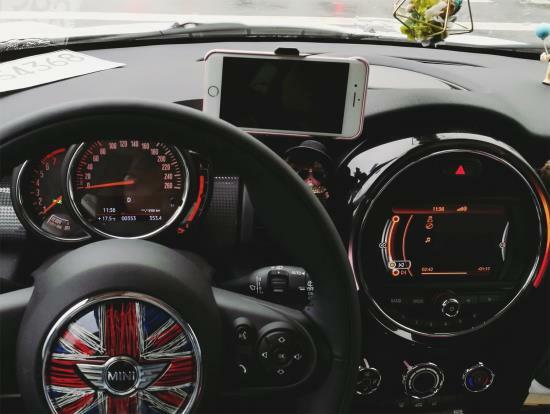 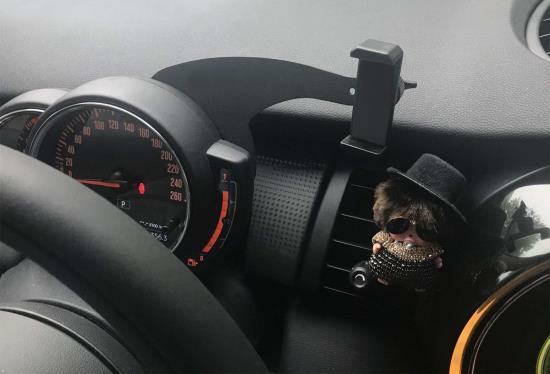 With the MINI Cooper UK style cell phone mount, your smartphone will be easily mounted by your center console and will feel integrated into your MINI's interior for a stylish look!